EIG provide details on virtually every property going to auction in the UK, more than any other property website. 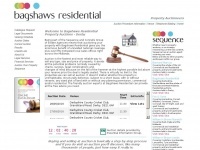 In total 3 links were found which refer to Eigpropertyauctions.co.uk. 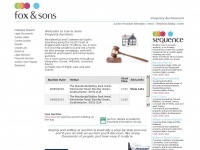 The most used keywords in text links are Property Auction Information and Property. Individual words like Information, Auction, Eigroup and Auctions are frequently used in text links from other websites. The most important link sources for this website are Barnardmarcusauctions.co.uk and Bagshawsauctions.co.uk. 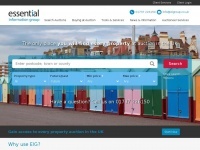 The homepage of Eigpropertyauctions.co.uk and the subsite are most referenced by other websites. 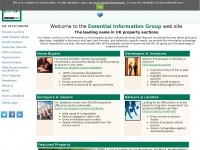 The table shows the most important links to Eigpropertyauctions.co.uk. The table is sorted in descending order by importance. The table shows websites of Eigpropertyauctions.co.uk, which are often linked by other websites and therefore they are classified as important content. 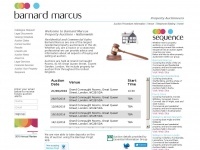 Eigroup.co.uk - Pro­perty Auctions - EIG - hou­se auctions, pro­perty ..
Barnardmarcusauctions.co.uk - Pro­perty Auctions UK Lon­don Nation­wi­de - Bar­nard ..
Bagshawsauctions.co.uk - Pro­perty Auctions Derbyshi­re, South Yorkshi­re and ..
Foxandsonsauctions.co.uk - Pro­perty Auctions Sout­hern England Hampshi­re, Dor­set, ..
0131auction.co.uk - LIVE ON­LINE PROPERTY AUCTION SCOT­LAND - Edin­burgh, ..